Prior to the universities and education known to the modern world, education in France began during the Medieval period. It was then that educational reform took place, and churches were turned to to provide education for the training of priests. The instructors began to rent halls in the district in which to give their lectures, and this part of Paris became a center of learning, being known as the Latin Quarter, since the common language for the various people living and studying there was Latin. St. Germain de Pres, Ste. Genevieve and St. Victor were all monasteries with their own schools. St Germain de Pres, being the church which Boulevard Saint Germain was named after, hence became a contributing factor to the agglomeration of educational institutions later after the birth of the university. – Paris Descartes University: Paris Descartes University is an public research university that was formed to replace the medicine department of the world’s second oldest academic institution—the University of Paris. It is one of the most prestigious French universities. -College des Ingénieurs: This is a private educational institute that provides business administration and finance education opportunities for Engineering graduates. It is one of the branches amongst others which are operating in Germany and Italy. After Haussmann’s Renovation, the city of Paris began to rebel. The Student Revolution of 1968 began as a student protest over the closing of the University of Paris’ Nanterre campus, which led to the eventual closure of the campus after months of student protests. These protests initially stemmed from a fight for sexual liberation, and later involved student rights and a change to economical and social structure. March 22 – Student advocates and associates invade an administration building at Nanterre University and hold a meeting in the University Council Room dealing with class discrimination in French society and the political bureaucracy that controlled the school’s funding. The school’s administration called the police, who surrounded the university. May 2 – Following months of conflicts between students and authorities at the University of Paris at Nanterre, the administration shuts down the University. May 3 – Students at the University of the Sorbonne in Paris meet to protest against the closure. May 5 – Advocates occupy the administration building and hold a general assembly. The police surrounded Nanterre, closing down the University. 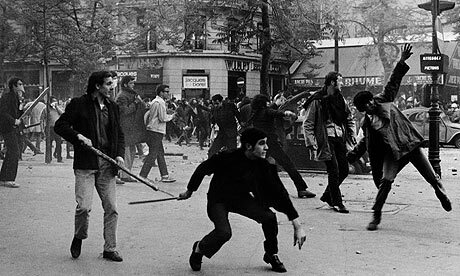 May 6 – Nanterre students come together in the centre of Paris and, after continual harassment and over 500 arrests, erupted into five hours of rioting with police. The national student union, and the union of University faculty call a march to protest against the police invasion of the Sorbonne. A complete ban on demonstrations and the closure of large sections of central Paris brought thousands of angry students onto the streets. In the face of increasing police brutality, more than 20,000 students, teachers and supporters march towards the Sorbonne, still sealed off by the police, who charged, wielding their batons, as soon as the marchers approached. The same day, high school student unions spoke in support of the riots. The next day, they joined the students, teachers and increasing numbers of young workers who gathered at the Arc de Triomphe to demand that: (1) all criminal charges against arrested students be dropped, (2) the police leave the University, and (3) the authorities reopen Nanterre and the Sorbonne. Negotiations broke down after students returned to their campuses, after a false report that the government had agreed to reopen them, only to discover the police still occupying the schools. May 10 – Another huge crowd congregated on the Rive Gauche. The confrontation, which produced hundreds of arrests and injuries, lasted until dawn of the following day. The events were broadcast on radio as they occurred and the aftermath was shown on television the following day. Allegations were made that the police had participated, through agents provocateurs, in the riots, by burning cars and throwing molotov cocktails. After massive demonstrations, the Education Minister started negotiations. But in the streets, 60 barricades had been built and workers came down to support the students. After the massive protests, the police were forced out of the Latin Quarter. Students seized the sections of Paris which police had sealed off and created an assembly to spread the struggle. Occupations and demonstrations soon spread throughout France. From Sorbonne University (previously cordoned off by police but taken back by the students) came leaflets, proclamations, telegrams and posters. May 13 – Over a million people marched through Paris; the police stayed largely out of sight. Prime Minister Georges Pompidou personally announced the release of the prisoners and the reopening of the Sorbonne. When the Sorbonne reopened, students occupied it and declared it an autonomous “people’s university”. May 14 – A sit-down strike begins at the Sud Aviation plant near the city of Nantes, where workers lock management in their offices. May 15 – The National Theatre in Paris was seized and made into a permanent assembly for mass debate. May 16 – Workers occupied roughly fifty factories. May 17 – 200,000 workers on strike. May 18 – Two million workers on strike. May 20 – Ten million (two-thirds of the French workforce) on strike. These strikes were not led by the union movement; on the contrary, the CGT tried to contain this spontaneous outbreak of militancy by channeling it into a struggle for higher wages and other economic demands. Workers put forward a broader, more political and more radical agenda, demanding the ousting of the government and President de Gaulle and attempting, in some cases, to run their factories. When the trade union leadership negotiated a 35% increase in the minimum wage, a 7% wage increase for other workers, and half normal pay for the time on strike with the major employers’ associations, the workers occupying their factories refused to return to work and jeered their union leaders, even though this deal was better than what they could have obtained only a month earlier. May 24 – Paris Stock Exchange is set on fire by protestors. As street demos grew and occupations continued, the state prepared to use brutal force to crush the revolt. May 25-26 – Grenelle agreements were signed at the Ministry of Social Affairs. They provided for an increase of the minimum wage by 25% and of the average salaries by 10%. These offers were rejected as inadequate by workers and the strike went on. May 30 – 400,000 to 500,000 march through Paris. May 31 – While the government appeared to be close to collapse, de Gaulle remained firm, though he had to go into hiding and considering abandoning his position. After being assured that he had sufficient loyal military units mobilized to back him if push came to shove, he went on the radio (the national television service was on strike) to announce the dissolution of the National Assembly, with elections to follow on 23 June. He ordered workers to return to work, threatening to institute a state of emergency if they did not. June 5 – Most workers have gradually returned to work or were ousted from their plants by the police. The national student union called off street demonstrations. The government banned a number of leftist organizations. 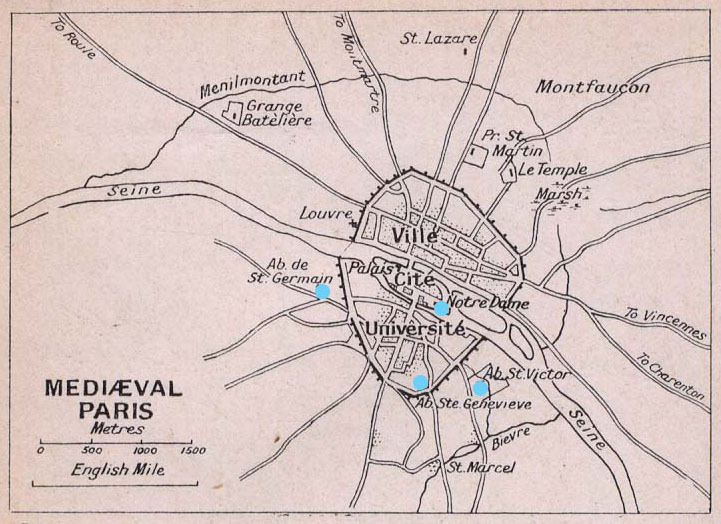 June 6 – Police retook the Sorbonne. De Gaulle triumphed in the legislative elections held later in June, and the crisis came to an end. – Bernath-Plaisted, Shandra. “French Students and Workers Campaign for Reform (May Revolt), 1968.” Global Nonviolent Action Database. January 1, 2008. 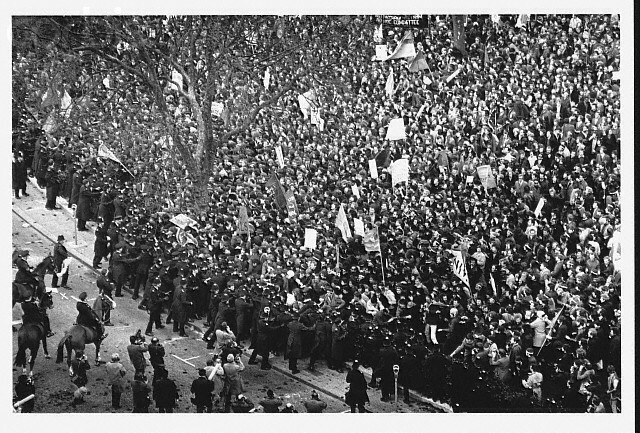 Accessed December 6, 2014. http://nvdatabase.swarthmore.edu/content/french-students-and-workers-campaign-reform-may-revolt-1968.